A Nigerian court has ordered the temporary seizure of four housing complexes linked to former petroleum resources minister Diezani Alison-Madueke. 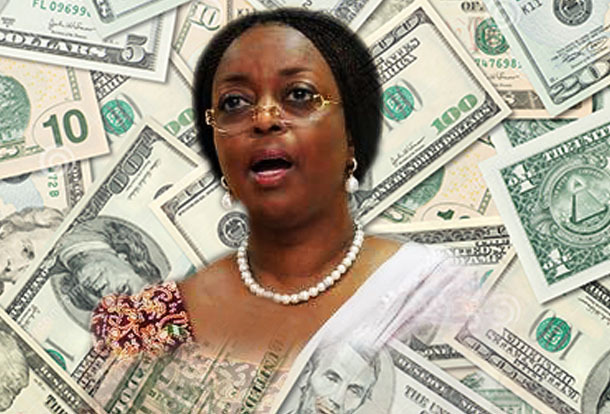 Former minister Alison-Madueke’s cousin Donald Chidi Amamgbo and four companies, Chapel Properties, Blue Nile Estate, Azinga Meadows and Vistapoint Property Development, were also respondents in the suit. EFCC investigative officer Somber Mayana testified on August 23 that Amamgbo had told him that he registered the companies, plus over a dozen others, to hold assets for the former minister. ‘During the course of his interview, Mr Donald Amamgbo told us that he registered the 18 companies to assist Mrs Diezani Alison-Madueke in holding titles of the properties,’ Mayana said in an affidavit. Mayana also said the former minister had made more than $3.3 million of mortgage payments in cash. The Economic and Financial Crimes Commission (EFCC) placed the value of the complexes, which have a total of 56 housing units, at $21.4 million. A notice is to be published in a national newspaper, and the owners will have 14 days to contest the seizure. Alison-Madueke, who held office from 2011 to 2015, was charged with money-laundering in absentia in April 2017, while an additional $110 million was seized from her bank accounts in February 2017. Earlier this month, $40 million in assets belonging to the former minister was seized. Her current location is unknown. She also faces investigations in the UK and USA.